What a lucky day! To have met and interviewed Tina is a red-letter day on my calendar! I’m anxious to dive into her three books, but first I just have to share this interview. She is truly an amazing and inspiring woman. 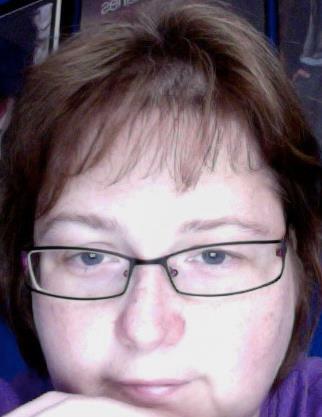 And now, without further ado, heeeeeere’s Tina! I am topic that I do not like discussing, but for you, I am willing to peek out of my shell for a moment. Personally, I am an only child, a wife, a mother of two, Christian age 11, an aspiring artist and long haul truck driver, and Brandon, age 3, an aspiring male stripper(he does not like to keep his clothes on very long), obsessed with vampires. Professionally, I have been writing on and off since the age of eight when I wrote my own twist on the bible story The Good Samaritan. I wrote many, many stories of mostly of the dramatic genre, but right now I am promoting a non-fiction work that is true to my heart, my detailed account of the nine-year journey to my son’s diagnosis of autism. 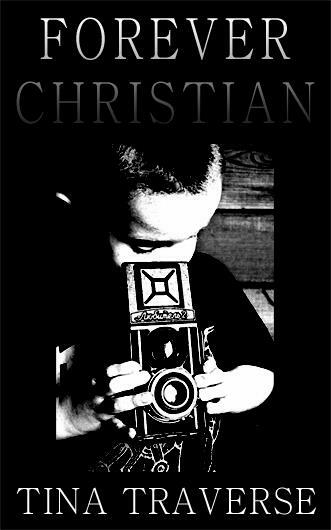 He even wrote the foreword introducing himself, giving everyone peek into the boy behind the title of Forever, Christian. I enjoy playing with my boys outside, I love going for long walks, watching my favourite tv programs and reading. I am a stay at home mom and am super busy with my two children when I am not writing and promoting. I started writing at the age of eight when I wrote my own twist on the bible’s The Good Samaritan and I finished my first book, Destiny of the Vampire last summer when I indie published it. My second book, Forever, Christian about my son, Christian was finished and published in December of 2012. My ideas can come from all sorts of the deep recesses of my imagination, be it something I read elsewhere, or on tv, even a conversation with a friend. But for Forever, Christian, it started out as a deep need, an outlet for my feelings about his diagnosis of high functioning autism, a journey that took nine years. I experience writers block frequently. I usually go by the seat of my pants with my writing, I tried outlines, cannot do them. I will however write the title and synopsis of the story down then type until all the ideas stall. Well, I independently published, but still, I had to find someone to edit, do my cover, and done many trial and errors with the formatting. I also had to figure out a way to market the book. With Forever, Christian the only thing I would do differently is maybe formulating a better marketing plan, because for me, my book addresses a very important issue. At first, no clue, but now I am learning through this wonderful support group for writers how to market my work through social media such as Facebook and Twitter, blog interviews, and free promotions. I find that the free kindle promotion days really increase the downloads of my novel(s). But, I still have a lot to learn, like how to get over my self promotion shyness and do what needs to be done to get my word out there to the masses. My favourite part? All of it! As I said before, Forever, Christian is the document of my feelings, our family’s nine-year journey of an autism diagnosis. It was a very raw, emotional and difficult story to share, but I feel it was an important one to let others know who may be going through something similar to know that there are others out there experiencing the same kind of thing they are, that they are not alone. My characters in most of my stories lead me on merry chases and create new plots. This does not apply of course to Forever, Christian as it is my own personal story and my son’s. I am afraid to say, nothing amusing happened. My inspiration for this story was of course, my son, Christian. I wanted to find an outlet for all my feelings concerning his diagnosis, which took nine years to find. From the time of his birth, it was a long, frustrating, and heart breaking journey that I kept bottled up for nine years. Autism seems to be mainstream now, with great numbers of children, even adults being diagnosed, but though I am far from an expert, this book is not filled with statistics, but with human feelings and experience from a mother’s point of view. I felt so alone before the diagnosis, but after, with a wonderful support system, I discovered that I was not. I want others who may be going through this to feel that they are not alone. My writing environment is with me sitting in my favourite chair with my laptop on my lap and my three-year old trying to bring up the iTunes. I do not do organization with my writing well, I can keep my house clean and super organized, but with my writing I do write every day, but I will write until the imagination well is dried up and then start all over again when more ideas flood in. After writing, publishing and now promoting Forever, Christian, I am writing book 2 of my Destiny of the Vampire series. Truthfully, I do not remember any one person giving me tough criticism, only from myself, I am my toughest critic,frequently believing that I am a bad writer, coming up with great ideas, but very bad at putting it paper. My best compliment was when someone told me that my writing was so real that they felt as if I was sitting there next to them having a cup of coffee. This is a very hard business to break into, with a lot of hard work, and disappointments, sometimes with very little gain, but if writing is your true passion, as it is with me, all of this will be worth it when you are able to pursue and develop your passion, your craft because success will come with this belief and the support of wonderful friends and fellow writers. If you touched one person with your work, help them learn something, escape from their world, even for a moment, then that is true success. Thanks so very much Tina, for being on our blog today. We all wish you the very best of luck! Robitille! Thank you so very, very much! I’ll scoop up a cup and a half of inspiration and write a post about it. Thank you again, Dear! Where are those damned tissues?